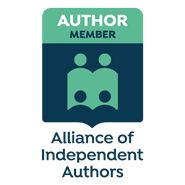 Today I'm delighted to welcome author Jackie Gamber to my blog. 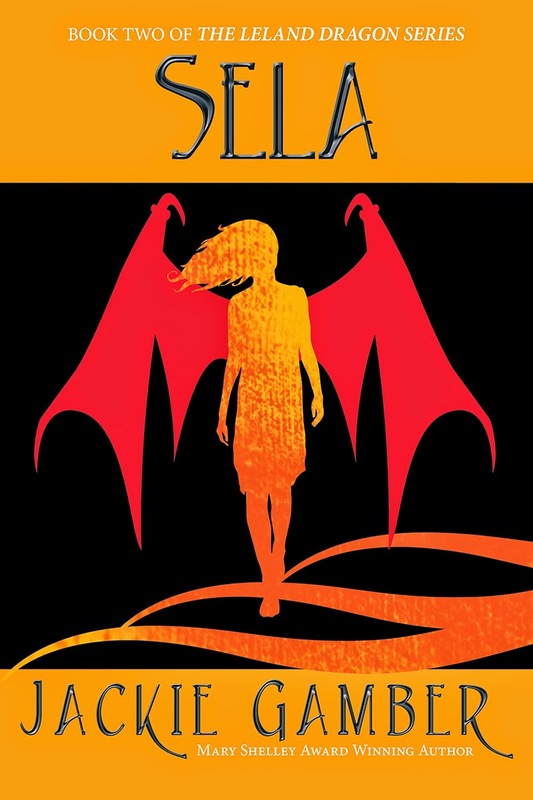 You may have read my reviews of her first two Leland Dragons books, Redheart and Sela. 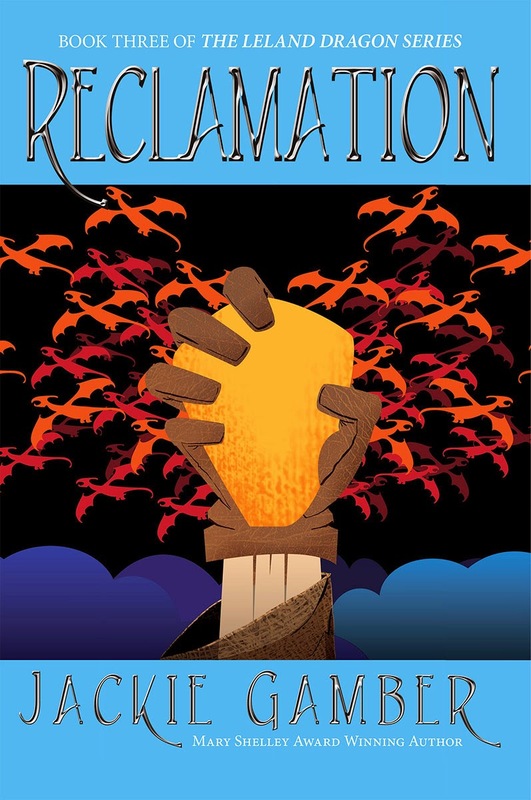 Soon I'll be able to enjoy the third book in the trilogy, Reclamation. But first, you get to enjoy learning why the author loves dragons so much. Welcome to my blog, Jackie Gamber. As the author of the Leland Dragon series, I’ve had ample opportunity to research, interview, and interact with dragons. I’ve even served on HADS: Humans Against Dragon Stereotypes, established by FODERP: Friends of Dragon Equality and Rights Preservation. I can, with authority, say, however, that there isn’t enough time in the world to really, truly understand these mysterious, elusive creatures. As natural introverts, they evade attention, and the effect that media has had on their reputation as virgin-eaters and hoarders hasn’t endeared us to them, by any means. So I’m happy to be involved in an effort to offset the myths and misunderstandings perpetrated by our culture by offering my list of top ten reasons I love dragons. 10. They have eclectic tastes in music. From Acid Rock to Bach, Count Basie to Ace of Base, dragons are impressively open minded and individualistic when it comes to musical entertainment. 9. Dragons have wildly varied camouflage. It’s one of the reasons they are believed to be fewer in number than they really are. From the rainy-est green forest, to the arid copper sands of vast deserts, dragons have adapted to survive and thrive, and to become unified with their direct environment. 8. They rival canines in their genetic size variance, from the hummingbird-sized sand skimmer (pygmaea flavus) to the mountain-dweller (tramea onustra), dragons come in fun- to biggie-sized! 7. They have natural green thumbs! Meaning, they are terrific gardeners and foliage tenders, not necessarily that all of them have literally green digits. 6. They love long walks on the beach. 5. Most species are fire-breathers, and so are bring-your-own barbecues. They haven’t been willing to give up their favorite sauce recipes to me yet, but I’ve tasted them, and they are amazing. 4. Dragons adore their tribes the way we value our family and friends. They bond the same way we do, and care and love, just like us. 3. They have a terrific sense of humor! They also love riddles and puzzles. Some dragons have a dry, sophisticated sort of wit, and some giggle at downright sophomoric stunts, but as a whole, dragons can be a lot of fun to hang out with. 2. They are also really good at board games. But the number one, super important, reason above all reasons that I love dragons? 1. They love books! They are great readers, from the classics to horror, to science fiction and fantasy, dragons love reading books, sharing books, talking about books, and, if they hoard anything of treasure, then it would be their books. Some have even taken to e-books, when they have access to electricity for recharging. I have, of course, shared my books with them, and they have in turn tipped me off to some fabulous stories I might not otherwise have found. It’s that giving and sharing attitude that make dragons such wonderful companions. And when it comes to books, there’s never too much of that good thing. Jackie's visiting my blog as part of a great Trilogy blog tour with Tomorrow Comes Media, and her fellow traveler is H. David Blalock, author of the Angelkiller Triad. 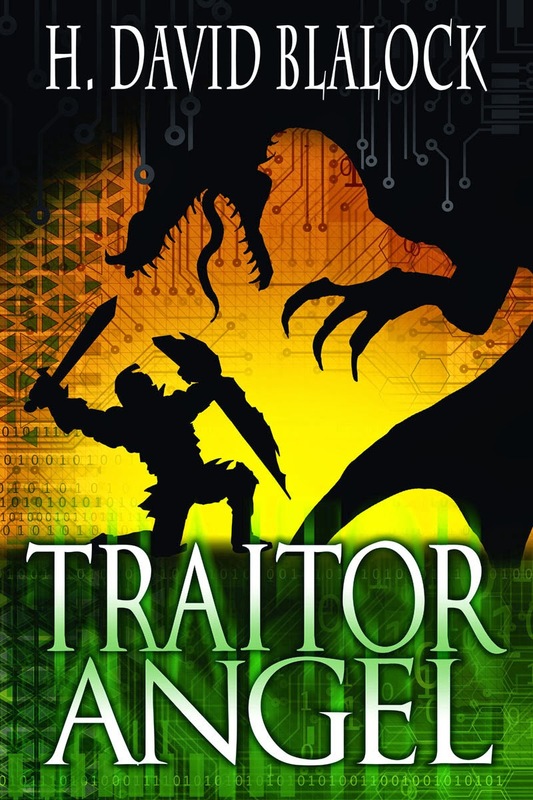 Again, you may have read my reviews of the first two books, Angelkiller and Traitor Angel. And again, I'm eagerly awaiting the third. Perhaps I should have asked him here to tell me why he love angels (or does he)? But he's busy elsewhere. See the end of this post for lots more great interviews and articles with these two great authors! About Redheart - first in the Leland Dragon trilogy: Enter the lands of Leland Province, where dragon and human societies have long dwelled side by side. Superstitions rise sharply, as a severe drought strips the land of its bounty, providing fertile ground for the darker ambitions of Fordon Blackclaw, Dragon Council Leader, who seeks to subdue humans or wipe them off the face of the land. About H. David Blalock: Born in San Antonio, Texas, David spent the majority of his formative years in Jacksonville, Florida. At the age of 16, his family moved to the Panama Canal Zone where David finished school and entered employment with the Department of Defense as a Powerhouse Electrician. Hiring into the FAA, he returned with his wife and two daughters to the States and settled briefly in Gulfport, MS. A few years later, he moved to Memphis, TN, as an Air Traffic Controller for the Memphis ARTCC. There he remained until his retirement. 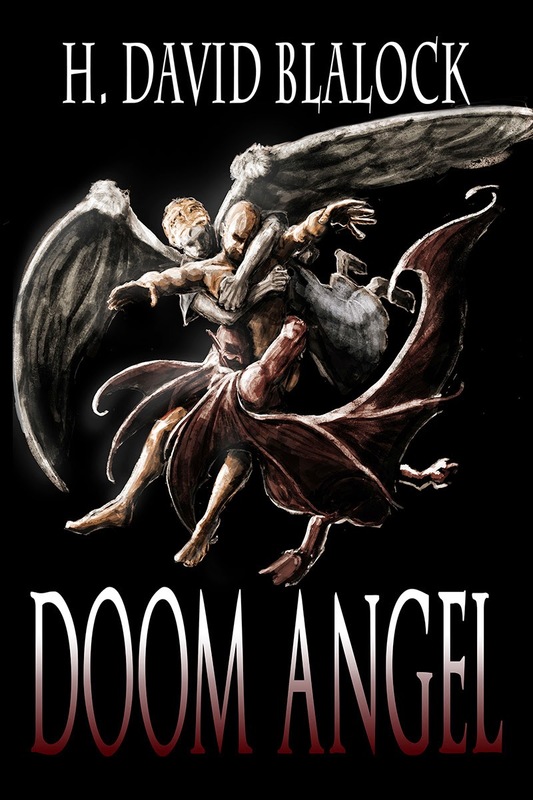 About Angelkiller, first in the Angelkiller Trilogy: Why do bad things happen to good people? Simple. In the ancient war between the Angels of Light and Darkness, the Dark won. Now it is the job of an undercover force simply known as The Army to rectify that. And FOLLOW THE TOUR !!!!! Then READ THE BOOKS !!!! !